The purpose of The Global Gospel of St. Paul is to highlight the global emphasis of Saint Paul’s teaching and life. It examines Paul’s development, his mission theology, and the heated controversies his teaching provoked. In the light of Paul’s global gospel the author looks at today’s mission and sees the same controversies that Paul faced and the same needed corrections he urged. He explains how the Christian church can recover Paul’s global vision and how we can redirect mission to fulfill God’s global purpose. The reader will discover the heart of God that Paul represented so powerfully, the heart that wants us to love the nations still outside of the kingdom as much as he loves us. Tad de Bordenave has written a book on St. Paul that will help us get the unreached people groups to whom we have been sent back in our sight. Having served as the founding director of Anglican Frontier Missions, he is intimately familiar with our calling and our painful failure to catch the vision from St. Paul. He helps make St. Paul’s passion and divine calling to reach all for Christ shine before our eyes and into our hearts, while deeply exploring the justifying grace of the Lord that all of us, indeed all in the world, need to hear. Here is a book that reads like a novel as it claims our minds and hearts. Rt. Rev. John H. Rodgers Jr. Th.D. Tad de Bordenave pastored churches for nearly 25 years before founding Anglican Frontier Missions in 1993. His study of St. Paul covers both ministries: setting the purpose of the local church and calling the church to mission to all the nations. Canon de Bordenave is affiliated with the Diocese of Makurdi, Nigeria, and the Rt. Rev. N. N. Inyom. Tad and his wive, artist Connie de Bordenave, live in Richmond, Virginia, and were long-time members of Light of Christ Anglican Church. Once Around chronicles the fulfillment of the authors’ life-long dream to sail around the world—the dangers, adventures, challenges, lessons learned, the many fascinating people they met, and the places they traveled during five years on board their 39-foot cutter, Cormorant. This book provides inspiration for anyone who loves sailing, travel, and adventure, especially for those considering a long-distance sailing journey. Ward and Judy LeHardy had a dream and the resources and temerity to set off on a rare and perilous journey. They were about 70% ready. Ward said they never would have gone if they had waited until they were 100% ready. Once Around tells of the adventure of two people who trusted God and experienced firsthand the remarkable beauty of His creation. Judy and Ward LeHardy were both raised in Navy families, but spent thirty-two years of their married life with the U.S. Army, until Ward retired as a brigadier general. They then spent two years finding Cormorant, learning how to sail her, and preparing the boat, their families, and themselves for a sail around the world. They have four children and twelve grandchildren, and live near the Chesapeake Bay in Kilmarnock, Virginia, and are members of Light of Christ Anglican Church. They can be contacted at wardjudy1956@gmail.com. 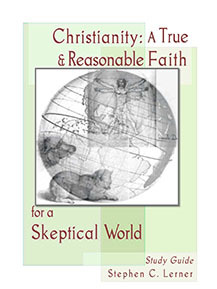 Christianity: A True and Reasonable Faith is a study guide for a course of the same title, which is sponsored by Christian churches for their local communities. Even without attending the course, the guide can be helpful to those Christians who want to better articulate the reasons for their faith and to non-Christians investigating the faith. For each lesson, the guide includes a summary of the class presentation; reading assignment from the associated textbook (The Reason for God by Timothy Keller); a list of supplemental readings; and student exercises designed to help the reader internalize the material. 1. Help Christians better articulate their beliefs. 2. Encourage Christian young people to keep their faith when they encounter the secular world. 3. Give unbelievers some good reasons to consider Christianity. The course consists of seven lessons that develop the Christian alternative to the secular worldview that drives our culture: Christianity and Today’s Culture, Why Christians Believe that a Personal Creator God Exists, The Christian View of Human Origins, Historical Reliability of the Bible’s Old Testament, Credibility of the Bible’s New Testament, Jesus Christ, the Divine Founder of Christianity, Explaining the Faith. The guide and course were developed by the adult education team at Light of Christ Anglican Church. When a life filled with adventure and reward is suddenly derailed by tragedy, how do you cope? How do you come to grips with such a reversal and move on? In Ninety-Five and Still Alive an articulate woman of advanced age looks back and tells her story. Her husband’s career as a metallurgical engineer took them to remote places where rare metals were mined. As his career blossomed, they enjoyed many adventures, including arriving in Cuba during the revolution. They had a vacation home on their own island in a lake in eastern Washington. Then, not one, but two tragedies within eighteen months rocked her comfortable world. Without preaching to us, she shows how she placed her trust in God and was able to find joy again, embracing both the adventure and the tragedy of life. Marion Mitchell is the only daughter of German immigrants. In 1942 she graduated from Washington State University and married a metallurgical engineer - who soon after went off to Europe to fight in World War II. Marion lives with her daughter and son-in-law in Virginia’s Northern Neck. A committed Christian, she has journeyed from the Lutheran to the Presbyterian to the Anglican Church, and is now a member of Light of Christ Anglican Church. She strives to live a life of faith, balance, and physical fitness. As I began to scribble out the thoughts for Reason and Belief on the back of an envelope, I knew it could not be written in a conventional way. 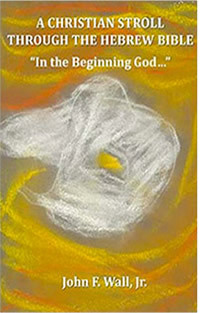 The book is aimed at helping readers come to grips with the fundamental questions of life, based on the Gospel of Mark from the Bible: Who is God? What is life? What is truth? Is eternal life possible? The Gospel of Mark addresses these questions, provides reason for belief, and assumes that most rational people will, in fact, believe that Jesus of Nazareth was God Incarnate. The tension between reason and belief has never been greater in our world. Especially at universities, professors and students often see the two concepts as opposed to one another. I hope to convince the reader that this need not be the case and that reason can indeed be used to support belief. Perhaps the book’s unconventional format will help the reader reach this conclusion. From Alpha to Omega Stan Rasberry has again tackled the difficult task of bringing the Bible to new readers without overwhelming them. The Bible is a guidebook for all – from alpha to omega — but many people have found it to be filled with mysteries and difficult to read. The new reader is daunted by its length, span of history, and diversity of unfamiliar characters. Even the reader with years of experience reading the Bible lack a comprehensive understanding. Alpha to Omega is a short handbook that can help with both problems. This book gives the reader the ability to see the Bible with fresh eyes. Stan Rasberry is a scientist who served in the labs of the National Institute of Standards and Technology, where he retired as Director of Measurement Services. He received bronze and silver medals from the U.S. Department of Commerce and became a professor and fellow at the Academy of Metrology in 1997. He was active in Youth for Christ and has been a Bible teacher for many years. 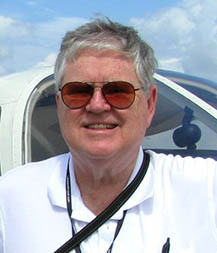 When he is not writing books, Stan enjoys his favorite hobby as a private pilot. 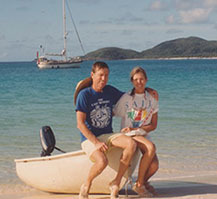 Stan and his wife, Judy, live in Lottsburg, Virginia, and are members of Light of Christ Anglican Church. In his book, A Christian Stroll Through the Hebrew Bible, John Wall walks the reader through the major stories and lessons of God’s wonderful message. The story is one of God selecting Abraham to found a nation to be his own possession, but his chosen people prove to be stiff-necked and unfaithful. Nevertheless, the Lord demonstrates his love, compassion, patience, and forgiveness time after time over the ages. The Hebrew Bible progressively reveals the nature of God and his love for all humanity. John Furman Wall, Jr. was born in 1931 in Boise, Idaho on his mother’s fortieth birthday; he grew up in Camden, SC, followed his father to the U. S. Military Academy at West Point (1956), and started his own Army career of over thirty-two years, retiring as the first three-star commanding general of the U. S. Army Strategic Defense Command. 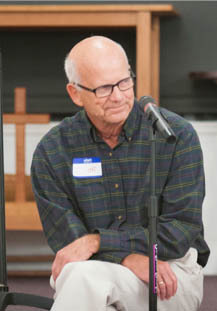 Five years later, when over the age of sixty, he reluctantly answered a call from God to enter the Virginia Theological Seminary, and for the next fifteen years served as an Episcopal priest in a number of churches. 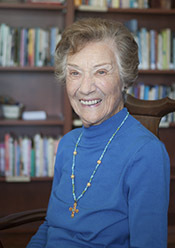 Father John is married to his bride of fifty-seven years, Suzanne McHenry Jones. They have three sons, all of whom are active in Christian ministries. He holds several advanced degrees and numerous military decorations from the U.S. and foreign governments.